Certified by Cardinal Path Train the Trainer program in USA. Whether you are starting a new business or growing an existing business, an executive coaching programme helps you to develop the beliefs, habits and behaviour needed to drive your business forward and achieve your goals. As a business grows, it’s needs also change over time and in order to make a successful transition from start up or solopreneur to bonified company requires processes, standard operating procedures and management training. If you want to improve your digital marketing and business skills or those of your team, we can train you to manage your own digital marketing through a comprehensive training and mentoring program. My services or the services of my agencies aren’t a good fit for everyone. This could be a number of reasons from the budget you have available to the type of industry you work in. If my business is not a good fit for you, I can recommend an online marketing expert who specialises in your needs. Gemma is a fantastic trainer and consultant. I have personally done SEO and Adwords training with her and she is one of the best I have come across. Gemma knows her stuff inside out and is able to clearly explain difficult concepts in simple terms. I have had the opportunity to work with Gemma several times as both a consultant and a trainer. In order to ensure the most effective business strategy for your company you need to have somebody like Gemma on board. In an industry full of big promises that often fail to deliver, her team has proven to be reliable each and every time that I have worked with them. We had tried other companies before talking with Gemma and from our experience we would not hesitate to recommend PDS Consulting to others as she has made such a huge difference to our business. 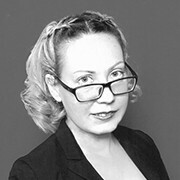 LAWI Group contracted Gemma Purnell from PDS Consulting Solutions as an independent consultant managing our Digital Business Strategy including Web Design & Development, SEO Optimization, SEM/Google Adwords, Social Media & Online Reputation Management for all of the companies within our group. My name is Jacqui Wilson and I have a company organising Medical tourism. I was very fortunate to be introduced to Gemma Purnell by a mutual work associate and I can honestly say it has been life changing. I can not say enough about this talented lady. No problem is to big for her. Previously I had been using a company from New Zealand who charged me double what Gemma does and produced next to nil results. By moving all my marketing to Gemma our enquiries have increased ten fold. We are also looking at taking on another staff member and our costs for marketing are much less. A combination of practical skills and mindset reset tools to make you unstoppable as a Digital Marketing Agency boss or freelance consultant.